For anyone undertaking a building project, you know from the outset that you are not going to have all the equipment, for every job, at your fingertips. Let’s face it, it would be impractical and cost prohibitive to even contemplate this. 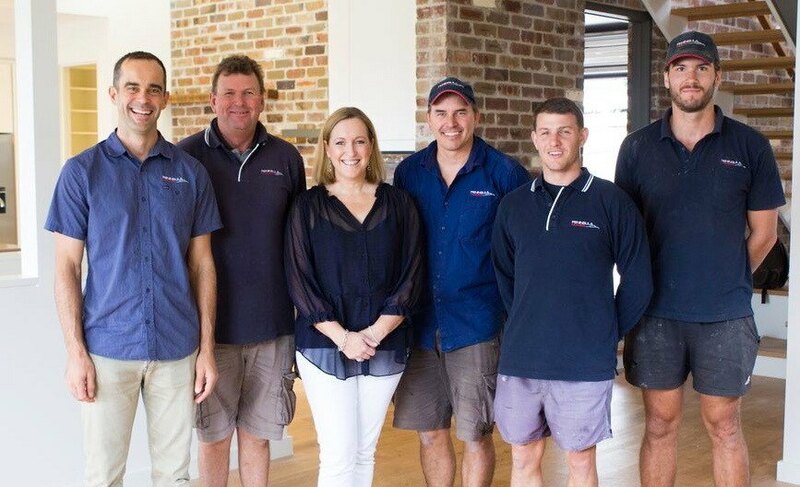 As a custom home builder on Sydney’s Northern Beaches, the team at Peninsula Homes knows that each site throws its own complexities into the build process. Even if we tried, we could not possibly carry every tool for every job. And, it is for this reason, that we use Kennards Hire time and again. Having 24/7 access and the ability to hire through the website allows us to plan our equipment requirements in advance and order online, freeing up time and resources on the job site. For the bigger equipment hires, their delivery service is efficient and a huge time-saver for our busy Site Manager. More often than not, we only need to hire equipment for a day or two and commonsense would tell you that it would be non-viable to purchase. Hiring from Kennards allows us to hire the latest equipment without having the capital outlay, saving us valuable time and money. As builders, we love to know about all the latest and greatest tools and equipment that are in the market place. And sometimes, we are not even sure about what tool might be the best for our job. Our local Kennards Hire at Brookvale and Mona Vale have switched on staff that have really sound knowledge and offer exceptional customer service. A burst hot water system, a few weeks back, flooded our office in a matter of minutes. Not sure of how we needed to extract hundreds of litres of water, a quick visit to Kennards Hire sorted us out. A Carpet Shampoo Machine and some heavy duty blower dryers, allowed us to start the clean up process and negated further damage to our office. At Peninsula Homes, when we do things, we like to know they work out how we envisaged them to. Being able to rely on Kennards Hire for our hiring needs, ensures things turn out as planned. And, as an Australian company ourselves, we are always happy to support other Australian-owned businesses.